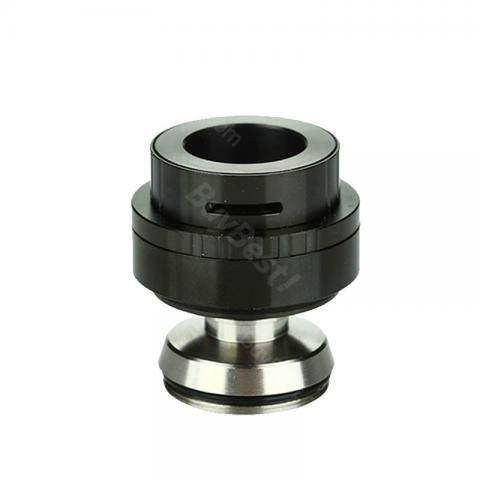 IJOY Tornado RDTA Top Airflow Set is for Tornado RDTA. With this top airflow set, you can adjust Tornado Airflow both at top and bottom. It will give you a better vaping experience. • It's for IJOY Tornado RDTA. The RDTA of Hugsvape used with its ringfoermigen Airflow around the Coil around a brand new Concept. Flavorfully is the single coiler very far forward and the Workmanship is excellent. The coil laesst well install and wat animals. Visually is the RDA already special, I put him on a Squonk-Mod A, what also easily folds. Nice accesory for my Tornado tank.